DiluFlow® is a gravimetric dilutor designed for the automatic dilution of a solid sample with the appropriate weight of diluent. You can dilute your sample just by pressing 2 keys. Easy-to-use, DiluFlow® is the perfect entry level dilutor for your lab! With the proficiency in the domain industry, we are engaged in manufacturing and supplying of assorted range of premium quality of hi-tech Gravimetric Diluter to our esteem clientele. 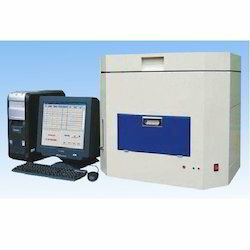 They automatically dilute a solid sample with the appropriate mass of diluents. These can be availed at market leading prices. We have gained a remarkable position in the market that is involved in offering Gravimetric Diluter. Cell-Com Tele Services Pvt. Ltd. The iga range from hiden analytical provides the ultimate tool for sorption science. 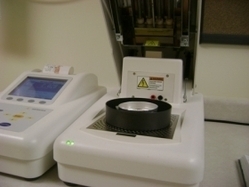 Gravimat automatically dilutes a solid sample with the appropriate mass of solvent. Any diluting and dispensing method used in labs may be selected directly on the screen. A customized dilution factor is saved automatically to be applied to the following dilution.